The Ripple-Ven Virtual Currency Syndicate Fund pools membership resources in Ven to purchase and hold Ripple with a corresponding optional tranfer to your personalized Ripple Wallet at purchase completion. Purchase of this module also grants the acquirer an option for group membership status to a Syndicate managed by Hub Culture to invest further in the fund with a 12 month minimum hold and accruing returns related to performance of both currencies. The Syndicate takes the hassle and risk out of buying Ripple for average users, with secure offsite/offline storage of held Ripple assets and stable holdings related to Ven itself. Â Because Ripple is not yet widely available, this Syndicate Fund is currently one of the only ways to obtain Ripple beyond small user signup giveaways. 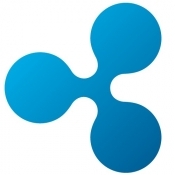 Regular option for full withdrawal to an individual Ripple account at 6% fee. Historic data indicates large variability in Ripple pricing with opportunity for diverse returns. Diversification between Ven and Ripple mitigates downside risk on Ripple at large. Suitable for Investors seeking Speculative Investing. For questions or a direct consulation, please get in touch. Learn more about Ripple. External and internal controls are in place to provide investor confidence about the suitability of the underlying asset classes Ripple and Ven, in which this fund is soley invested. THIS MODULE IS OFFERING INFORMATION ABOUT THE VEN RIPPLE AVERAGING FUND FOR INFORMATION PURPOSES ONLY. PURCHASE OF THE MODULE GRANTS MEMBERSHIP ACCESS TO THE VEN RIPPLE FUND GROUP, BY WHICH ANY FUTURE DIVIDENDS INTEREST OR PRINCIPAL REPAYMENT ARE DISTRIBUTED IN VEN. THIS MODULEÂ IS NOT AN ADVERTISEMENT AND THE INFORMATION CONTAINED HEREIN DOES NOT CONSTITUTE INVESTMENT ADVICE, AN OFFER TO SELL, OR THE SOLICITATION OF ANY OFFER, TO BUY ANY SECURITIES AND OR DERIVATIVES AND MAY NOT BE REPRODUCED, DISTRIBUTED OR PUBLISHED BY ANY RECIPIENT FOR ANY PURPOSE. IT IS NOT DIRECTED AT OR INTENDED FOR DISTRIBUTION TO OR USE BY ANY PERSON OR ENTITY IN ANY JURISDICTION WHERE SUCH DISTRIBUTION, PUBLICATION OR USE WOULD BE CONTRARY TO APPLICABLE LAW OR REGULATION. THE INFORMATION PROVIDED SHOULD BE READ IN CONJUNCTION WITH THE FUND PROSPECTUS WHICH CAN BE OBTAINED FROM HUB CULTURE. Â YOUR ARE STRONGLY RECOMMENDED TO CONSULT WITH YOUR PROFESSIONAL ADVISER REGARDING THE SUITABILITY OF ANY STAKE PURCHASES DESCRIBED HEREIN. THE VALUE OF YOUR INVESTMENT MAY FALL AS WELL AS RISE AND IS NOT GUARANTEED, ESPECIALLY GIVEN THE VOLATILE NATURE OF VIRTUAL CURRENCIES AT LARGE. PAST PERFORMANCE IS NOT AN INDICATOR OF FUTURE PERFORMANCE. CHANGES IN EXCHANGE RATES MAY CAUSE THE VALUE OF INVESTMENTS TO GO DOWN OR UP.